Get fit with Amanda in your home! Hi! 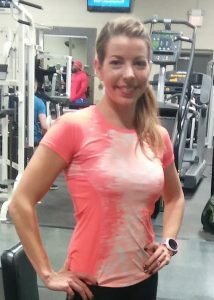 My name is Amanda, I’m a Certified Personal Trainer in Center Valley PA and the local area. I have 8 years experience working with clients of all ages and fitness levels. Everyone has unique needs, struggles, and challenges…no matter what the case, I’ll be there to help you. I specialize in In Home Personal Training and I can create a plan tailored to YOUR goals, which you can perform at your venue of choice at a time that’s convenient for you. Whether your goal is to lose fat, train for an endurance event, or to simply feel better…I’ll get you there! You’ll receive in-depth coaching, support, accountability and motivation from me to ensure success. Ask about my complete 20-week training programs for half and full marathons! Even for the beginners out there – with me, you CAN get to that finish line feeling great! I also provide nutritional coaching from beginner plans to more accelerated, as what you’re eating is crucial to seeing results. Contact me today, and together we’ll improve your lifestyle!